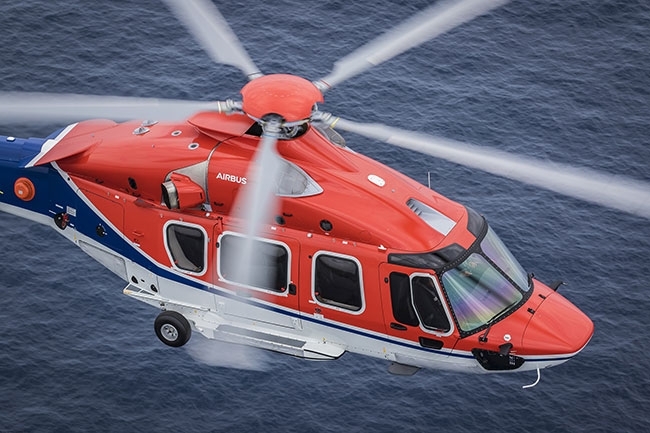 Once known as Canadian Holding Company, shortened to CHC, the once $800-million leader in offshore helicopter operations was devastated by the steep decline in oil prices and a pair of fatal accidents. CHC filed for Chapter 11 bankruptcy protection in April 2016. The company emerged from the 10-month process in March with a smaller fleet, less debt, and a new branding scheme that hearkens back to its earliest days as Okanagan Helicopters. CHC’s corporate headquarters is now located in Dallas, Tx., with four regional head offices, a Center of Excellence in Vancouver and the global sales office in oil and gas in ground zero, Houston. The slimmed-down CHC is a private company with primary ownership through its bondholders. 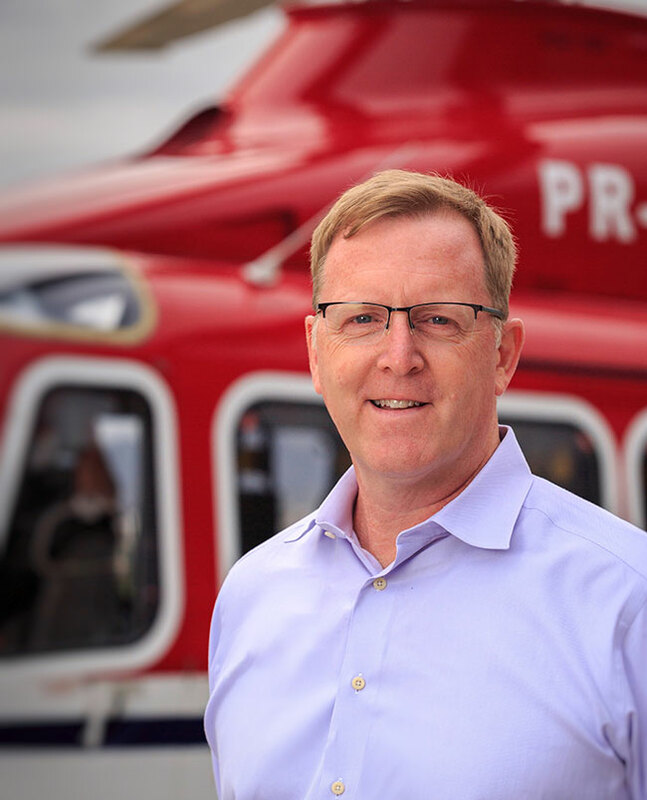 Karl Fessenden was named president and chief executive officer of CHC Helicopter and a board member of its parent company, CHC Group, in February 2015. He came to CHC from GE, where he led multiple global-service business units at GE Energy and GE Aviation. Most recently he directed GE’s integration of the Alstom power-generation business, the largest acquisition in GE’s history. His background includes 15 years in the aviation sector with GE and Pratt & Whitney. Fessenden shared his thoughts with Helicopters on CHC’s recent past and future. With the smaller fleet and staff, you’ve adjusted to a more regional structure. What is the CHC market strategy over the next 5-10 years? We are dedicated to serving both a global and regional customer base, leveraging our global standards and the local expertise of our four regions – APAC, EMEA, LAM, and NECC. We plan to maintain this focus as we continue to grow our business and aggressively pursue opportunities around the world. We believe we are well positioned to succeed in the current challenging oil and gas market as well as attract additional customers with the eventual market recovery. We remain committed to maintaining a technologically advanced and reliable fleet that helps our customers reach their goals and will continue to raise the standard for safety, customer service and value across the industry. The Chapter 11 process allowed us to rethink every aspect of our company and make sure we provide the best value for our customers while maintaining an unwavering commitment to a safe and reliable operation. In the fleet makeover (shedding aircraft, possibly acquiring new types) what is the long-term fleet plan? Our long-term fleet strategy is to maintain a fleet mix of owned versus leased aircraft that allows us the flexibility to meet the needs of our current and future customers. 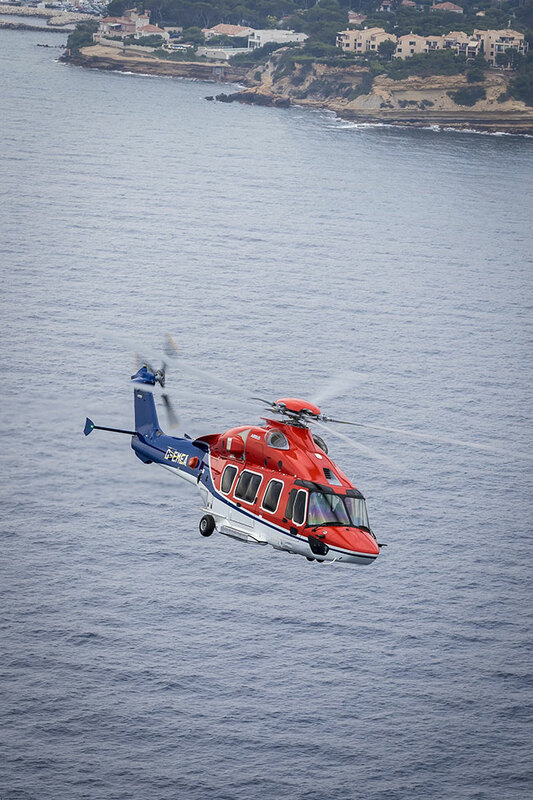 And we plan to invest in new aircraft such as the AW189 and EC175 in the coming months to support current customers. What are current revenues from O&G, SAR, EMS, MRO? How do you propose to change the mix in the future? Approximately 70 per cent of our revenue comes from oil and gas, 15 per cent from Heli-One/MRO and 15 per cent from SAR/EMS. We are expanding our SAR/EMS business and are also pursuing new opportunities such as transport for the renewable energy sector. What did you do to shore up employee morale and motivation through the bankruptcy process? When we started the restructuring process, we made sure to emphasize to employees that their main focus should continue to be meeting the needs of our customers. Our leadership team worked with advisors to manage the restructuring process, including the implementation of robust management of change and communications processes specifically designed to minimize any impact on our daily operations and our people. Our goal was to ensure our people understood the process and were aware of what was happening, while maintaining a 100-per cent, business-as-usual posture. Our commitment to each other and to our customers was to move through the restructuring process as quickly and efficiently as possible, while keeping our customers informed throughout. We kept our commitment of completing the restructuring as quickly and efficiently as possible, and maintained the trust and support of our customers, employees, creditors and stakeholders. It’s very gratifying that all of our customers stood by us during this time, when they could have easily walked away. As we move forward as the new CHC, we are focused on making sure all of our employees have the information and resources needed to do their jobs effectively while also opening up additional channels for ideas and feedback. We want to encourage creative thinking and new ideas at all levels, and allow our people to take ownership of implementing them. For example, we’ve created a global employee ideas and feedback program that makes sure all ideas are shared with leadership and those that both share their ideas and help implement them receive recognition and possible compensation. What major changes were there in key operational personnel? We made significant organizational changes to ensure we had the right people in the right roles to manage the changes needed for a successful reorganization. Our reorganization included changes across CHC’s global structure in every corner of the business – across the regions and at the corporate level. This new structure has created better alignment with our customers, geography, language and culture, while driving greater accountability and improved customer relationships. As part of this approach, we implemented standard systems, processes and structures, which allowed us to strip out complexity and take advantage of technologies to make us more efficient. One example of this was the creation of our Global Standards Group – a new organization to create and manage a single globally consistent process for standards development for Flight Standards, Maintenance and Training. We also implemented a regional “Centre of Excellence” (COE) model across our AOCs: In each COE, our Postholders are accountable for providing “subcontracted services” to our operations around the globe. Our fleet directors collaborate with Postholders on fleet-specific issues and improvements. This simplifies our business by managing maintenance programs for each fleet type in a single location, streamline modifications, and process all required revisions to maintain compliance. The COEs also process airworthiness directives, service bulletins and other airworthiness instructions. What emphasis has been placed on safety and SMS through the bankruptcy? Safety is our business. It is at the core of our promise to our customers and employees. Throughout the restructuring process, we absolutely did not waiver in our commitment to safety. Our operations and safety and quality teams continued to focus on safely supporting our customers and were distanced from the specifics of the bankruptcy process to allow them to focus on running a safe and reliable operation. We also continued to invest in leading-edge solutions to elevate safety and address potential safety issues. Several initiatives are directly focused on human factors such as Line Operations Safety Assessments (LOSA) – a groundbreaking program, looking at threat and error management in the cockpit, which complements our extensive helicopter flight data monitoring (HFDM) program. Other initiatives focus on proactively identifying, testing and breaking down any and all barriers to safety. Every member of the CHC team – particularly our senior leadership team – plays an important role in making CHC a safer place to work and a safer company for our customers. We have hosted roundtable sessions of leaders across the company to identify areas for additional improvement and are building these goals and objectives into both their own performance objectives and those of the larger organization. Every leader, regardless of function, is accountable for advancing safety across our operation. In what ways are you active in HeliOffshore? Safety through collaboration has long been a philosophy championed by CHC and others in our industry, so we continue to play a very active role as a founding member of HeliOffshore. Dave Balevic, our senior vice-president of engineering and operations, co-chairs a work stream on systems reliability and resilience, focused on eEarly diagnosis and resolution of potential failure, improving equipment reliability, effective maintenance, and improved airworthiness management. Malcolm Garrington, manager, HUMS support has co-led work developing a Health and Usage Monitoring Systems (HUMS) Best Practice Guidance that was recognized with the HeliOffshore’s “Sharing and Learning” award last year. Do you still have a training partnership with CAE? Yes, we continue to partner with CAE. This relationship has not changed. How “Canadian” is CHC today? Our Richmond (B.C.) Center of Excellence houses more than 400 employees and includes key members of our safety, human resources, finance, IT, Heli-One and other teams. We are proud of our heritage within Canada all the way back to our Okanagan roots and will continue to house several functions in Canada that are essential to CHC’s global operations. It was said the 2010 CHC senior leadership team was inexperienced in the aviation business; how does the current team differ, and why will you be successful? Our current leadership team, including our new board of directors, is comprised of experienced leaders who have strong backgrounds in the markets we serve – including commercial aviation, oil and gas, and the helicopter industries. We also believe the people we have at all levels of CHC are the most talented and dedicated employees and we are all dedicated to providing safe and reliable service to our customers across our global operation.